Over 100 resorts/hotel properties in the Maldives have confirmed their participation in the second edition of Travel Trade Show of Maldives (TTM), scheduled to take place in May. TTM is scheduled to be held at Dharubaaruge, Male’ Maldives from May 1 to 3. It is expected that along with over 140 resorts/hotels properties, 200 international buyers/media will attend the show. Premium Exhibitors include Adaaran Resorts, Angiri Resorts, Crown & Champa Resorts, Bandos Maldives and Villa Hotels & Resorts Maldives. TTM Gala night, which will be held at Adaaran Select Hudhuranfushi, will host the TTM Awards on May 2. 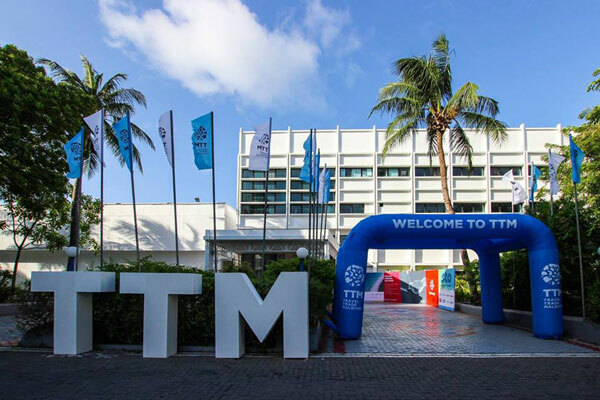 TTM will also host the second Hotelier Summit of the Maldives targeting the hotel investors, leading hotel owners, operators, developers, architects, interior designers and consultants. The Hotelier Summit Maldives will offer a solution-oriented platform that facilitates face-to-face meetings, networking activities, and information exchange amongst the most elite assemblage of hotel owners and general managers. A total of four panels are scheduled to take place at the summit in which more than 150 hotel owners and general managers from resorts and hotels of Maldives will participate. Various topics are set to be discussed that are significant to the Maldivian tourism industry. TTM 2018 will also hold the first Maldives Supplier Expo. It is the only event, where exhibiting companies can expect to meet key decision makers, engineering directors and procurement managers from all over the Maldives. A total of 1,000+ key decision makers and purchasing chiefs from over 150 resorts and leading companies of Maldives are expected to pass through the doors of the expo to visit and network with the exhibitors. The second Tourism Career Fair will be held during TTM at Dharubaaruge on May 3. Much like last year, the career fair is a great opportunity for students/professionals to meet and network with tourism industry representatives in the Maldives. The career fair will be held from 20:00 – 23:00 at Dharubaaruge, Male’ Maldives.